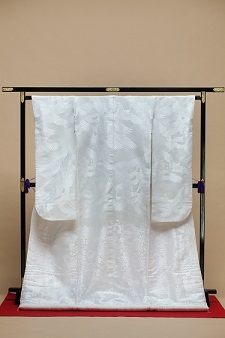 This article is about a traditional kimono called “shiromuku”. Its particularity is to have both – face and reverse – of a plain white colour. These are some pictures of Shiromukus taken during a recent LST support plan. This plan, called “Tiara”, had its success by having used only prestigious “shiromuku”. Each one is made from 100% of silk. 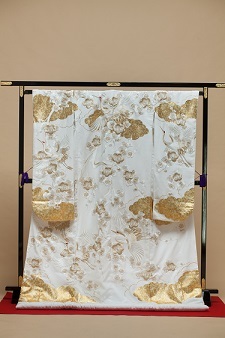 Every year, only prestigious Shiramukus are used in the plan. Therefore, we recommend it to the clients.